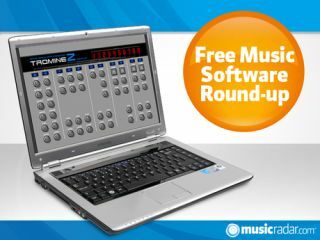 The likes of Native Instruments and Yellow Tools already had free sample-based instruments available for download, and now Best Service has joined them with a trimmed-down version of its Titan software. Find out more below. Keep scrolling and you'll also find details of an updated church organ plug-in, a revised bus compressor and a couple of familiar-sounding drum machines. The full version of Titan features sounds from 200 classic synths, but while this free edition offers just 12 sounds (bass, brass, organ, pad, percussion, synth and voice presets are included) it still contain more than 320MB of content. You can import a limited number of your own samples, too. This second-generation instrument benefits from five organ oscillators, and these are said to deliver bigger and better sounds than the original version was capable of producing. If you like your organs more sacred than secular, take a look. An updated version of Variety Of Sound's bus compressor, this is designed to be used for stereo group mixing and summing purposes. Said to be unobtrusive yet also capable of imparting a touch of sonic colour (albeit subtly), Density mkII promises to blend the best features of outboard hardware with contemporary processing techniques. A couple of new drum synths for you to consider: Tromine Z takes inspiration from Roland's TR-909, while Tromine doffs its cap to the same company's TR-606. Both products are at version 1.0, while a third, the Trokow analogue percussion synth, is at v0.1.